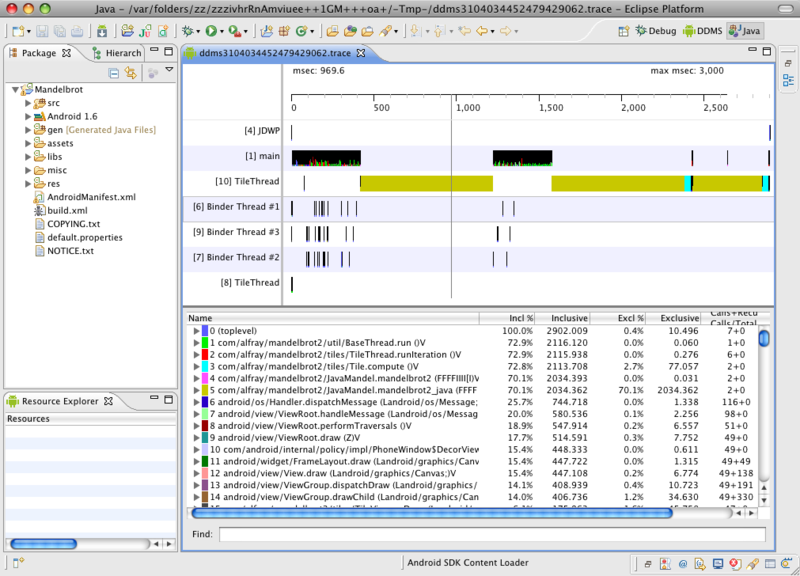 Traceview has been integrated into Eclipse through a new plug-in. It can open any .trace file, and because it opens them in editor windows, it can open several of them. The plug-in integrates with the DDMS plug-in so that using the start/stop profiling button will open traces in Eclipse directly instead of launching the standalone tool. Additionally, if you ctrl-click (command on a Mac) on a method it will open the source file in the editor. Credits go to Pierre Zurek who contributed to this new plug-in through AOSP.